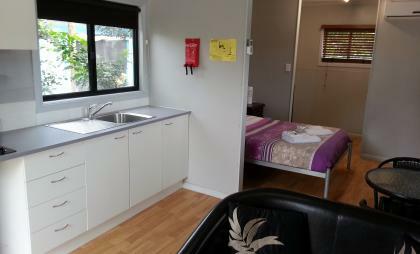 Small open plan cabin with double bed, kitchenette and lounge with tv and airconditioning. All linen supplied. 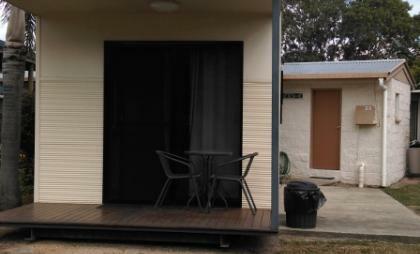 External ensuite attached. 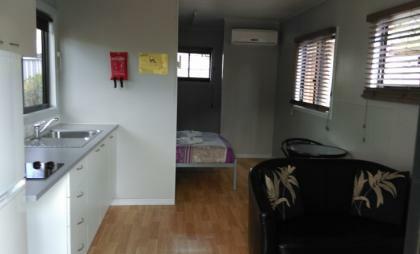 Please contact our friendly staff on 07 4778 8301 to check for additional availability and make a booking.